Mary Eberle concentrates her practice in municipal law. She has served as solicitor to nearly twenty municipal clients since her admission to the bar in 1981. 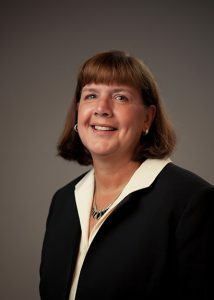 In addition to general representation of municipal clients, Mary developed areas of unique specialization in areas such as non-uniform and union contracts, municipal pensions and Act 44 compliance, stormwater management, tax assessment proceedings, agreements for payments in lieu of taxes, building codes, public ethics, and cable matters. She has played an integral role in drafting numerous new or comprehensive amendments to zoning and subdivision and land development ordinances.